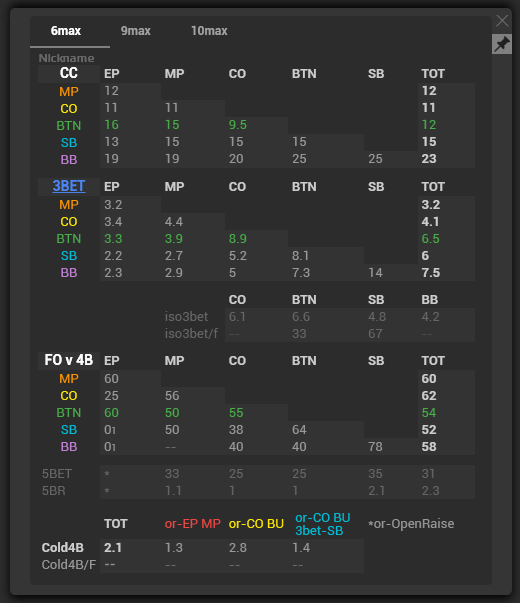 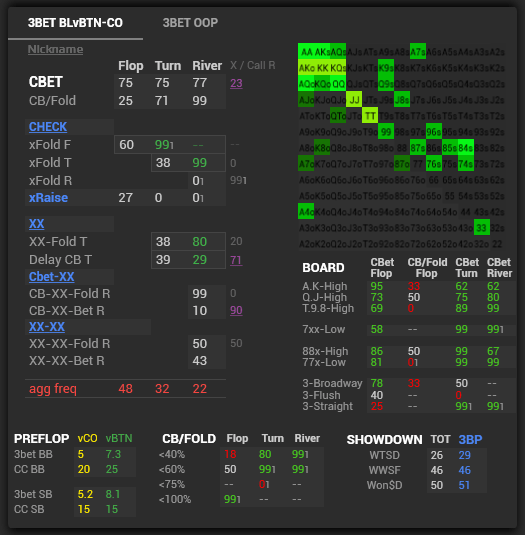 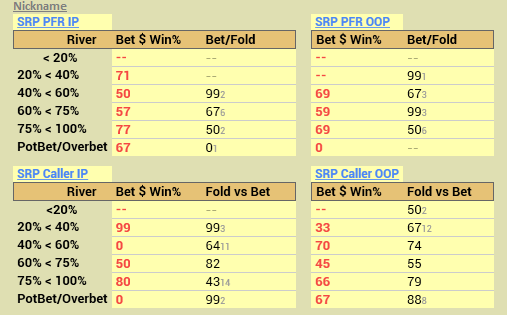 AGG/NOTES – aggression, showdowns, and winnings at different river bet sizings..
*In TOT – TOTAL popups, statistics are used with no division into Reg vs Fish games, it allows to see indicators when the opponent was playing in All against All situations. 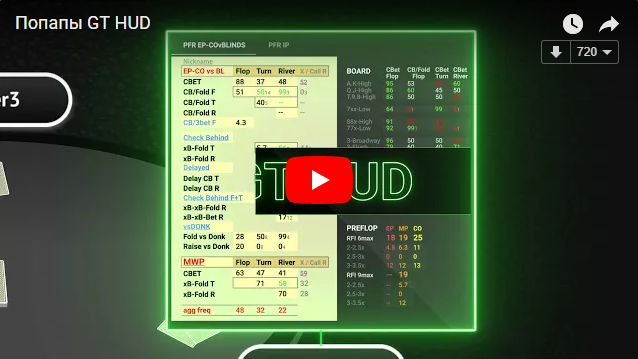 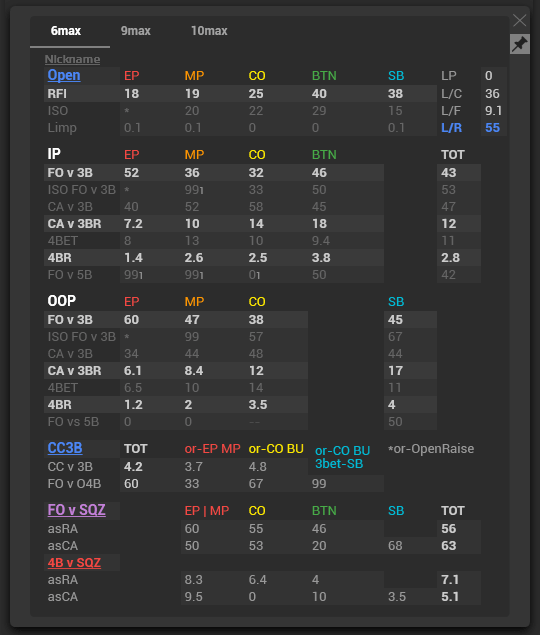 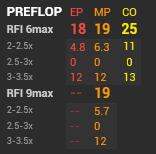 *Extended positional popups display statistics indicators for when the opponent was playing against regular players and does not mix it with the statistics for when the opponent was playing against weak and recreational players. 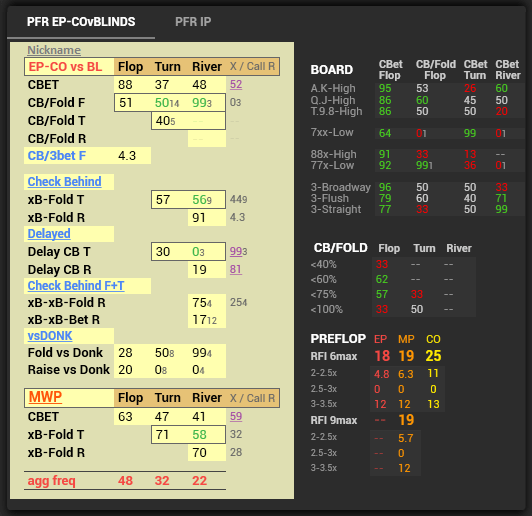 This popup contains information about winnings after betting on river and bet-folds at different sizings. 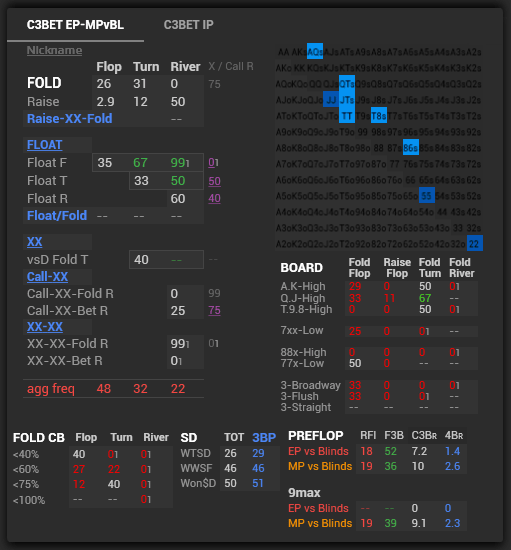 The stats show the difference between the current fold of the player from the fold when EV=0. 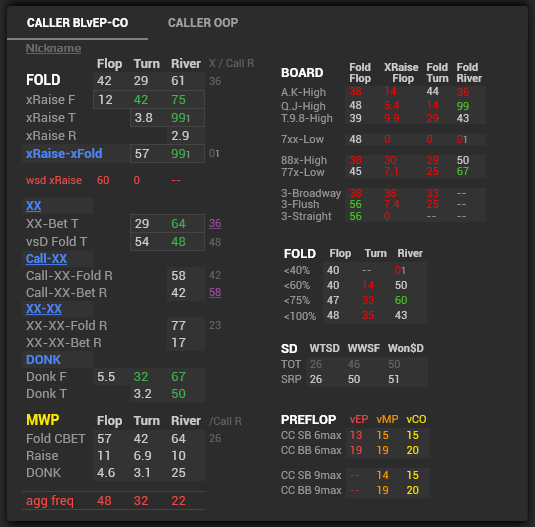 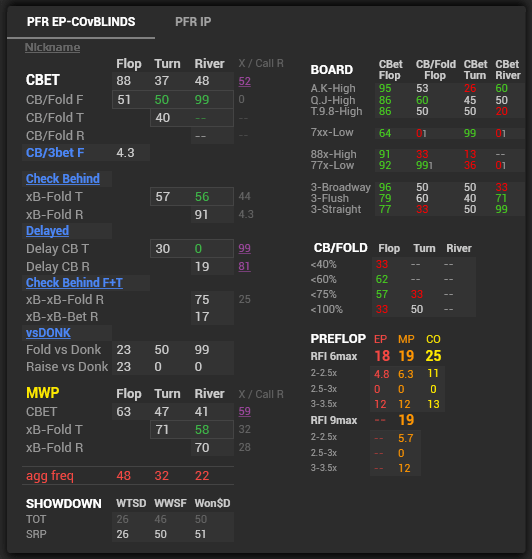 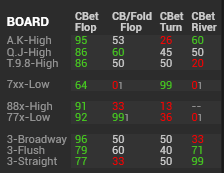 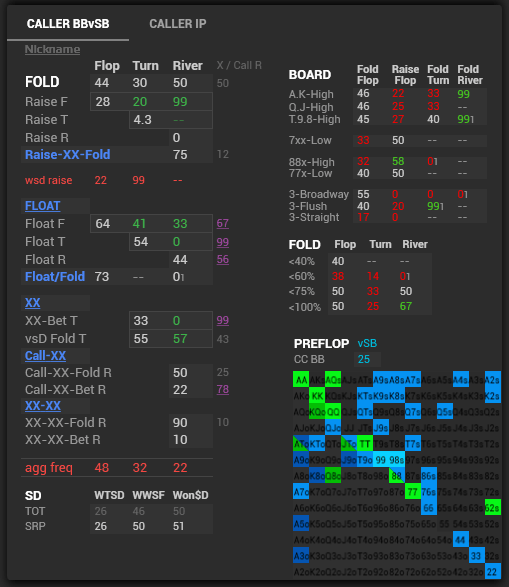 the player folds at the position being asRaiser 24% more than the folds are when EV = 0.
the player folds without a position asCaller by 7.1% less than the folds are when EV = 0.